I could just imagine all of the beautiful decor on that mantle...a mirror with a wreath for Christmas, springtime florals, or candles that smelled of spice for the fall. But none of those things happened. You see, I didn't read the fine print on our marriage license that said, "The TV must have precedence over all of the pretty things." ITS A BIG DEAL PEOPLE. At every house we looked at, while I was swooning over beadboard and original hardware, Chris was standing in the corner, arms folded, figuring out where the TV would go. Even though it killed me inside a little bit, we both did agree that the only place the TV would fit in our living room was on the mantel...which meant all of the "cable junk" went on the mantle too. Bleh. BLEH BLEH BLEH. 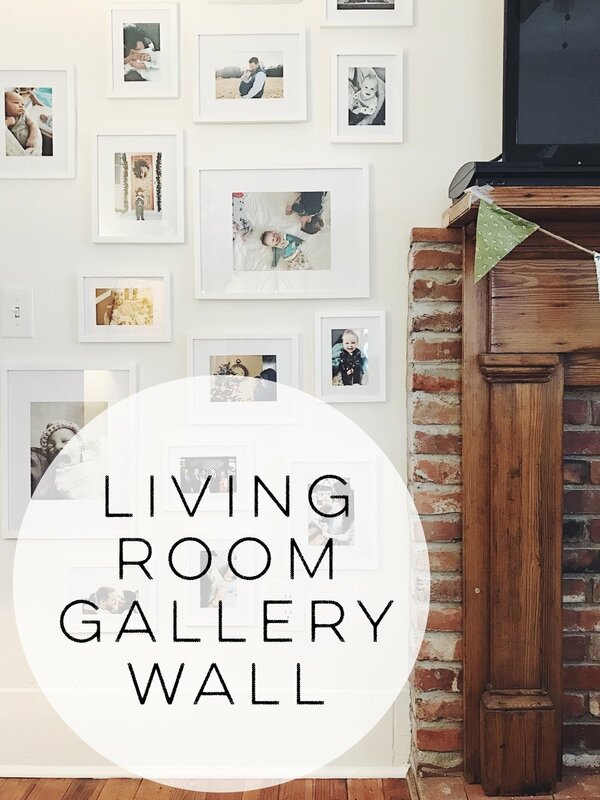 But I decided to try and make the most of it and while I mulled over several ideas, I settled on the idea of a gallery wall. I bought some matted frames (Pinnacle 11FW1444 White 7-Piece Solid Wood Wall Frame Kit) from Amazon, and I decided to go with white because I felt like black would be a little overbearing since I was using so many frames. And that means both of us are happy! My hubby can kick back and watch his (beloved) TV and I can stare at the sweet memories on our wall. Marriage is all about compromise right?! Pin the image below and follow me on Pinterest for more home decor ideas!